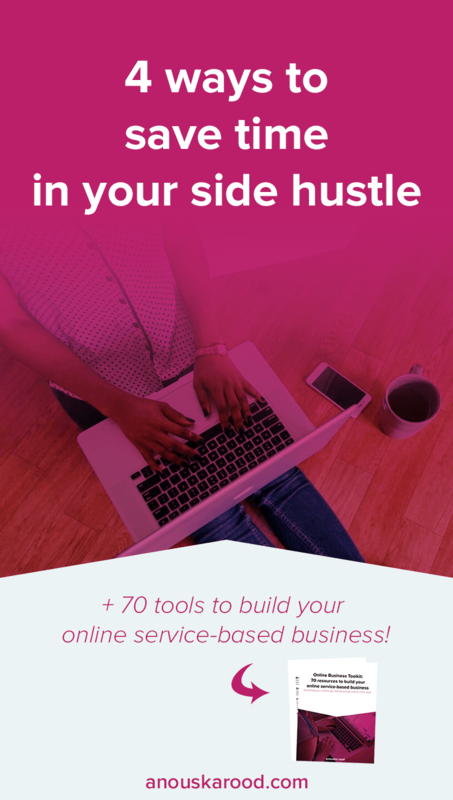 Want to take your side hustle full-time, but feel like you’re on a treadmill, no matter how much you do, you’re stuck at the starting point? It’s time to work smarter, not harder. Schedule and batch. Set up systems for as much as you can, so you can spend the valuable time you have available for your side hustle on things that will actually bring in cash. 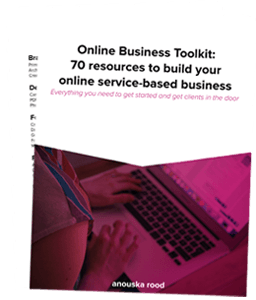 Spend a day on creating and setting up your social media strategy, and automate it. Pick 1 or 2 social channels your ideal client uses the most. Read as much as you can about that specific channel. Then set up the re-usable parts, for example the Twitter/Facebook posts promoting your evergreen blog posts or Instagram hashtags you’ll use. I’ve automated my blog promotion on Twitter and Facebook using RecurPost, which lets you recycle your social media content automatically. You create libraries of posts, set up a schedule to post to your channels and let RecurPost do the rest. There are plenty more tools that do the same, but RecurPost actually has a free option. To share other people’s content, I use Feedly to get the latest blog posts and read them to decide if I want to share, then schedule them with Buffer. Pinterest another one you can automate and schedule to save tons of time, using BoardBooster and TailWind. If you make everything custom to every client, start creating a process now. What are you spending a lot of time on when you have a new potential client? If you have tons of back-and-forth emails to schedule a time for a call, start using a scheduler. I use Calendly to schedule calls with clients in different time zones. I listed the times I’ll generally be available (No calls at 2AM, I need my sleep!). It’s also connected to my Google Calendar so it knows when I already have other commitments. My clients get a link where they can just select a date and time that works for them. I also recommend using a project management tool, so you can keep everything in one place and focus on the actual work, instead of trying to keep track of important client feedback in the chaos of back-and-forth emails. I use Asana, where I have project templates set up for my packages, so documents and checklists are already in there when I copy the template for a new project. Are you sending PDF contracts to clients, then let them print, sign, scan and email it back to you? That process probably takes a couple of days if not more. I love Adobe Sign, which allows you to set up contract templates and the contracts are signed digitally, so it doesn’t have to take more than a couple of minutes. IFTTT (If This, Then That) is free and lets you connect all sorts of different services (Twitter, Facebook, Buffer, Asana, Trello, Evernote, Dropbox and many more) and set up easy automations between them. There are a lot of automations (applets) available on IFTTT, but if you’re missing something, it’s easy to create your own as well! What are you using to save time in your business? Leave a comment below.